San Antonio is a great place to live as well as study. The second largest city in Texas, and the seventh largest in the nation, San Antonio’s cost of living is one of the lowest among major U.S. cities. In addition to health care and national defense, San Antonio has a rapidly growing economy that includes biotechnology and manufacturing. San Antonio is rich with natural beauty, history and charm, while residents enjoy all the comforts and culture of a major metropolis. Cultural attractions include the city’s many museums, the San Antonio Symphony, the San Antonio Spurs basketball team, and arguably the best Mexican cuisine in the state. Residents also enjoy recreational attractions such as the Alamo and the Riverwalk, theme parks like Sea World and Fiesta Texas, and outdoor activities including water sports on the Guadalupe River. UTHealth School of Public Health in San Antonio offers public health students individualized and unique learning opportunities. We have more than 100 students within our updated facilities that include three classrooms, a study, laboratory, computer lab, conference room, lounge, and faculty and staff offices. All our classrooms are equipped with Interactive Television (ITV videoconferencing technology), which allows our students to attend and participate in courses and workshops offered throughout the six UTHealth School of Public Health campuses and beyond. 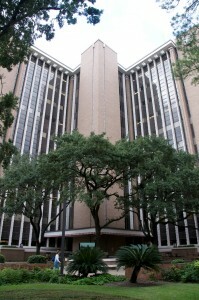 San Antonio campus students also have access to all resources at the largest campus in Houston, including a local chapter of the School of Public Health Student Association and of the Student Epidemic Intelligence Society (SEIS). We also have access to student services, including the state-of-the-art Briscoe Library, through our host campus - The University of Texas Health Science Center at San Antonio.